The average person gets angry about 20 times a day, but if you ask them, many swear that they never get angry at all. Anger is one of the emotions we are most likely to suppress yet doing so does us no favours whatsoever. In fact, it could kill us! Recent research has highlighted that people who suppress anger, and other emotions, were more likely to develop thickening of the carotid arteries than those who let things out. This thickening can increase the risk of thrombosis and heart disease – and all because you didn’t shout when you needed to!! According to experts, the top five most suppressed emotions are anger, joy, sadness, fear and excitement. Some people have been trained to show only positive emotions and to hide the negative ones; some reveal all their feelings, whilst others reveal nothing at all. How you react is determined by a complex interplay of various factors, including the way in which your family dealt with emotions (e.g. 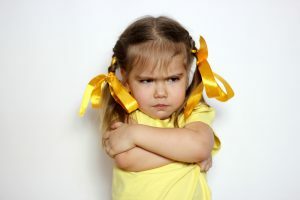 children whose parents chastised them for crying or for being too exuberant are more likely to be prone to suppression). Our culture trains us not to express emotions, as do some religions. Even your state of mind and health can determine how you are going to react to a situation and whether you’ll let rip or not. Generally, the more stressed or unhappy you are, or the worse your health, the more likely you are to express emotions – sadly, you refer to this as losing control. Calling this natural expression “loss of control” reflects our unhealthy attitude to emotions in general. In the UK, in particular, we are told that expressing our feelings is either rude or weak. However, no-one has told our bodies this! When your body is exposed to an emotion, a complex interplay of hormones occurs which gets the body ready to express that emotion. If you then hold it back, you don’t release those hormones and your body exists in a heightened emotional state which can only lead to negative consequences. ……and these consequences are many – those who don’t express emotions are less likely to have fulfilling relationships as their intimacy response is dampened. You could also find it harder to get on at work as people don’t tell you the truth about your performance. We tend to give criticism to people who criticise us – people who hide their feelings may be seen as too nice or too soft to handle it. You could also experience setbacks rising up the career ladder because of an inability to tell others how you feel about their performance. Without expressing our emotions, we are only half a person. A life without awareness of meaningful feelings is dull and lifeless at best. We have to realise the importance of showing what we feel. Suppressed emotions never go away. They just take their toll on us emotionally and physically and always come back to bite us when we’re at our most vulnerable. If we’ve grown up being told that expressing emotions is wrong, then how do we switch to being able to confess our true feelings? Face up to having a dark or negative side – your Mr. Hyde does exist! Recognise and learn to name your feelings – the good, the bad and the ugly! Accept and embrace all your feelings – don’t analyse any of them! Appreciate all the good things in your life – see every emotion as a blessing! Relax – and be guided back towards harmony and health!